Parker Herring Law Group, PLLC provides North Carolina Residents with superior, experienced representation in all types of family matters. Since we limit our practice to one type of law, our attorneys are immersed in family law cases all day, every day, allowing us to constantly build our knowledge and expertise to better serve you. E. Parker Herring is the founding member of the Parker Herring Law Group, PLLC and has practiced family law in Raleigh, North Carolina since 1986. She is the founder and current director of the North Carolina-based adoption agency, A Child’s Hope, LLC, which has placed over 350 children in North Carolina since 2000. Sandra Beardsley is the legal assistant for adoptions that are processed through the law firm. Amy Macurdy is the legal assistant for wills & estates, assisted reproduction and adoptions that are processed through the law firm. Sherri Phelan office manager and bookkeeper for the firm. I would recommend collaborative law with Parker Herring to any of my friends who are going through a divorce. I didn’t want the divorce ending my 24-year marriage and still don’t, but the way that we settled all of our issues in a collaborative setting over the course of three months was civil and respectful. My husband and I have three wonderful boys together, and we can still talk about anything that needs to be talked about. I was able to speak with Angel on the phone, fill out the forms she emailed me and then come into the office when the documents were ready to execute. I was able to get a will, durable power of attorney, health care power of attorney, living will and HIPAA release all for an affordable rate. She was kind and took the time to explain everything to me. I highly recommend Angel to guide you through your Estate Planning. Scott Y. and Dwayne M.
We really needed help when our adoption agency, Independent Adoption Center, closed suddenly just as we had been matched with a birth mother. Parker Herring and David Festin helped us pick up the pieces and got the legal work done for us so that we could adopt our Hallie Grace! They really care, they really listen, and they really helped us achieve our dream. They are friendly, open, and courteous. We can’t thank them enough! 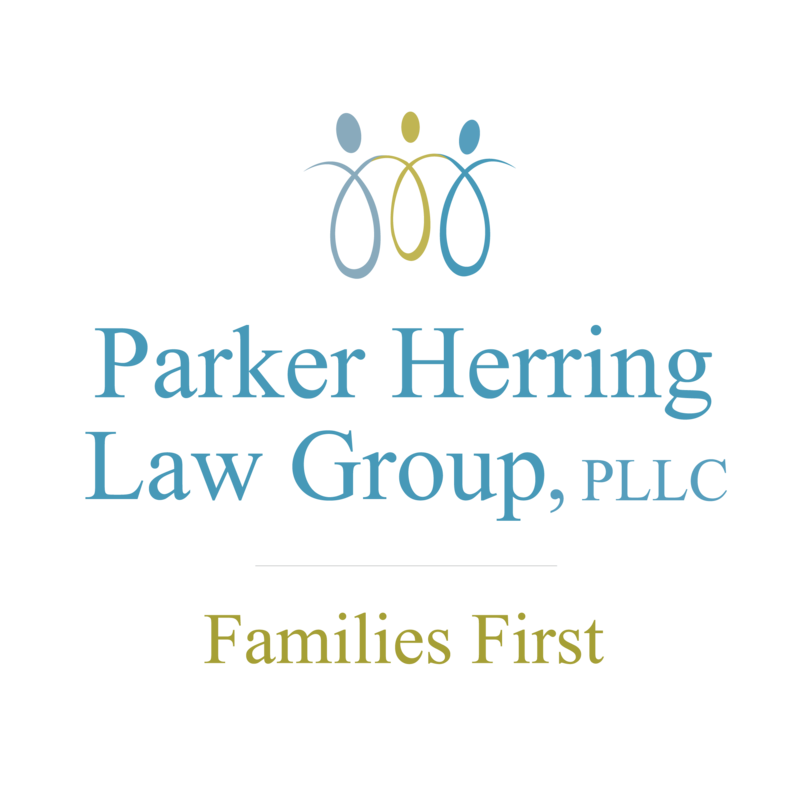 Many thanks to Parker Herring Law Group, PLLC for helping me fight for custody of my son. My ex-husband pulled every trick in the book but we prevailed. Thank you again. Parker Herring hit the ground running for us. Our birth mother decided on adoption the day the baby was born. Parker worked around the clock to make sure our adoption went as smoothly as possible. Parker has truly been a friend to me and to the practice of collaborative law. We’ve had several collaborative cases together, with unique and challenging circumstances. We’ve always been able to help our clients solve their problems in a creative, peaceful, and private manner, in a way which honors their time together while helping them move towards separate lives in the future.